I got a box of tools and sheet metal in the mail! Isn't it so cute? I'm not entirely sure what it'll be good for yet, but it was about $5 and seems like it'll come in handy at some point--maybe for very small-scale fold-forming, or just as a "third hand" for holding things I'm working on once in a while. 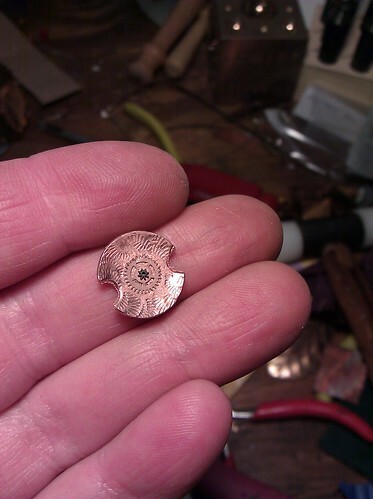 I've tried salt casting before, and there are several other kinds of freeform casting that I'm also interested in trying and incorporating into jewelry. 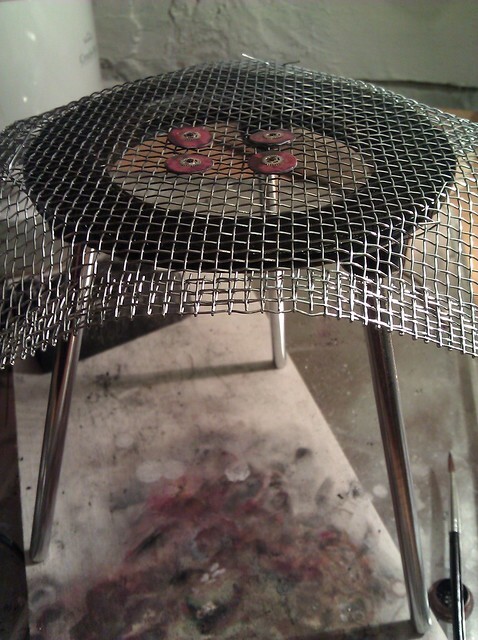 This crucible will help me play with molten silver more safely. And since silver prices keep going up, I'm really liking the idea of being able to recycle every bit of sterling scrap into more art. The other tool I'm really excited about is this soldering tripod. The tripod supports a mesh, which supports the piece of jewelry, and you can point your torch at it from above or below. Notice how there are 4 pieces on the screen? 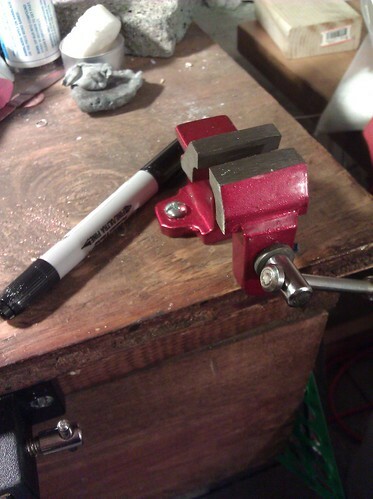 This tripod means that I can solder groups of pieces in batches rather than one at a time--really good for simple things that benefit from a miniature production-line approach (like a few pairs of earrings that I want to be identical). I'm making them with the International Steampunk City festival in mind.